Product information "FIBARO Motion Sensor (4-in-1 Multi Sensor) GEN 5"
How often does it happen that one of family members forgets to turn off the light? Motion Sensor integrated with lighting system is a simple way to save the energy. Lamps will automatically turn on when someone enters the room and turn off when no movement is detected. 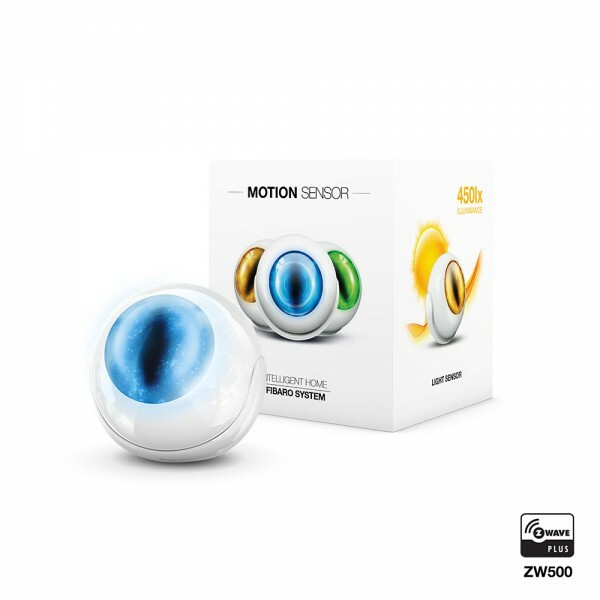 The FIBARO Motion Sensor is a highly advanced, ultra small multi-sensor. Motion Sensor honored with CES 2015 Innovation Awards and International Design Awards 2015. This tiny sensor has a built-in temperature sensor, light sensor and accelerometer. The eye of the sensor shines with user-defined colors to visually alert when detects motion and alarm. The Motion Sensor is completely wireless and mobile. It can even turn the lights on when you enter that room! Related links to "FIBARO Motion Sensor (4-in-1 Multi Sensor) GEN 5"